UCantLose Ltd - Get Behind The Stable Doors...And Save £20! Get Behind The Stable Doors...And Save £20! Our good friends over Tipster Platforms have recently added the successful, and well respected, FromTheStables service to their portfolio. For those of you that have never come across FromTheStables before...they've been going since 2010 and offers members the chance to get in behind the stable doors and be privy to top info that comes direct from the trainers themselves...including the likes of Classic-winning handler ANDREW BALDING and recent Cheltenham Festival winner BEN PAULING (plus 12 other big yards). 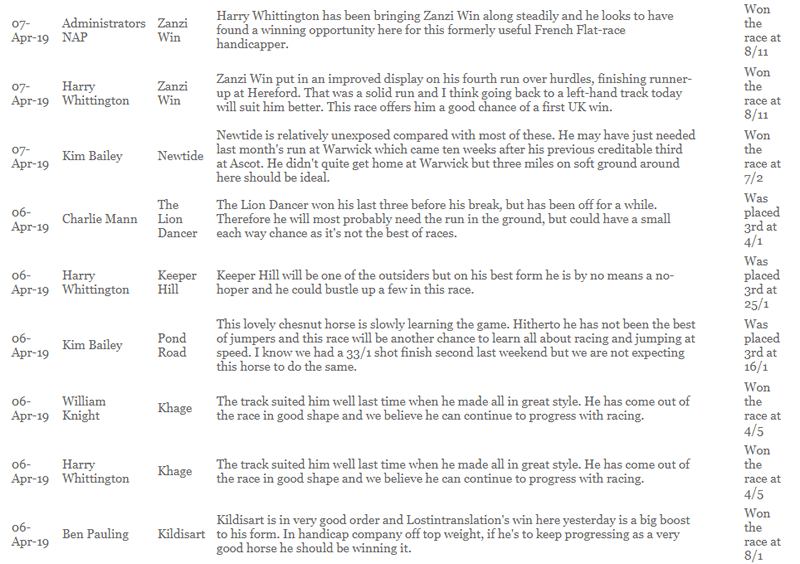 This is STABLE INFO that comes DIRECT from the trainers themselves about any daily runners they may have in action. This really is MUST HAVE INFO for any serious punter that's tackling the days racing. Below is a small selection of the recent RED HOT info provided by the trainers. Click here to read more and claim a limited time discount...PLUS A 60 DAY MONEY BACK GUARANTEE!